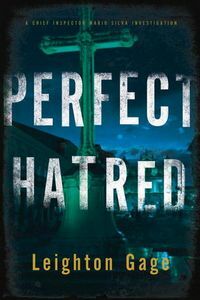 Perfect Hatred by Leighton Gage: Synopsis and Online Purchase Options. Synopsis (from the publisher): Chief Inspector Mario Silva and his team have a heavy work load with several high-profile cases. First, a suicide bombing that was apparently the work of a militant Islamist group. Then, a gubernatorial candidate is assassinated in broad daylight at a campaign rally. Could the cases be related? To complicate Silva's investigation, a criminal with a very bad grudge against the Chief Inspector has been released from prison and is plotting ugly revenge.